Call off the search! Beautiful POOL HOME in Pavilion - Riverview's most sought after community! *Sparkling Saltwater Pool* *Move-In Ready* THIS is the house you dont want to miss! The Geneva floor plan offers a Bright and Open Living Room with Laminate Floors, Cathedral Ceilings and a Slider out to the Pool. Large Kitchen with Corian Countertops, Solid Wood Cabinets, Light Appliances, Lots of Counter and Cabinet Space, Breakfast Bar and a Sunny Eating Area. Master Suite with a Spacious Bedroom with a Walk-in Closet, Slider to the Pool, and Master Bath with Dual Sinks, Large Shower and Vanity Area. Secondary Bedroom with a Full Bath and 2 More Secondary Bedrooms with a Connecting Jack & Jill Full Bath. Step outside to your Private Pool! Heated Saltwater Pool and Spa with Seating Area all Screened In - The perfect spot to relax or entertain family and friends. Saltwater Pool lets you enjoy less maintenance. 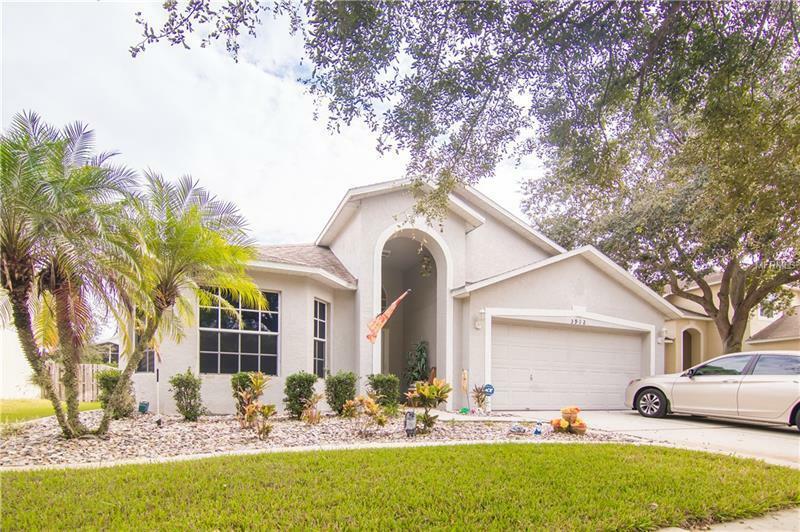 Enjoy the Florida Lifestyle right in your own backyard! Pavilion community has so much to offer including a Clubhouse, Community Pool, Fitness Center, 2 Playgrounds, Tennis Courts, a Covered Pavilion Picnic Area, and a Calendar Full of Fun Events! ALL with a Great Location in Riverview - easy access to Shopping, Dining, Entertainment and Highways - makes your commute a breeze! You don't want to miss this one, Come Check It Out Today! Copyright © 2019 Mid Florida MLS. All rights reserved. The data relating to real estate for sale on this web site comes in part from the Internet Data Exchange Program of Mid Florida MLS. Information provided is for consumer's personal, non-commercial use and may not be used for any purpose other than to identify prospective properties consumers may be interested in purchasing. Keller Williams Realty participates in the MFRMLS Internet Data Exchange (IDX) program, allowing display of other MFRMLS broker's listings on this site. However may not include all listings currently available. Information is deemed reliable but not guaranteed. Information last updated at 2019-04-22 07:48:15.